It's a winter-wonderland of twinkly packaging and maybe the most enchanting special-edition Meteorites ever. 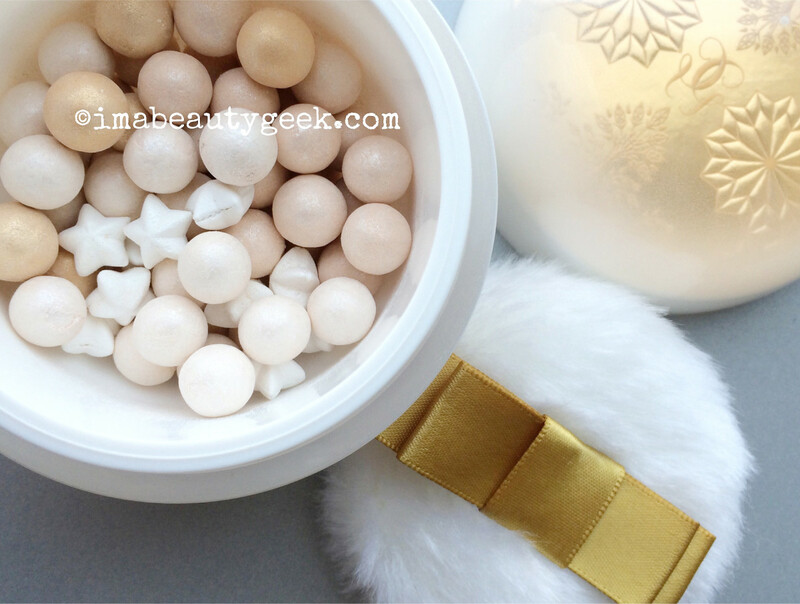 Guerlain holiday 2015: Neiges et Merveilles Enchanted Snowflakes Meteorites iridescent illuminating powder – Guerlain Meteorite pearls are handmade, by the way. 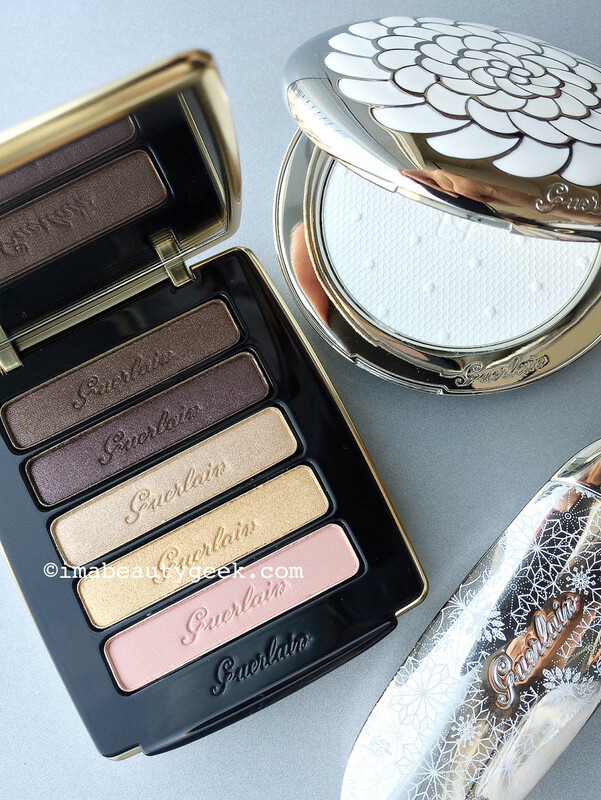 The Guerlain holiday 2015 Neiges et Merveilles makeup collection – rolling out as of October – should win a prize for making winter seem magical during the hottest days of the summer (hey, it&apos;s summer for two more weeks). Have you seen the insanely gorgeous Enchanted Snowflakes Meteorites? Of course you have now; that&apos;s them right up there. *swoon* and also #grabbyhands. Or #gimmethat. Let&apos;s have a look at the rest, because we&apos;re clever enough that we can enjoy the still-warm temps while we look at ridiculously pretty snowflake packaging. 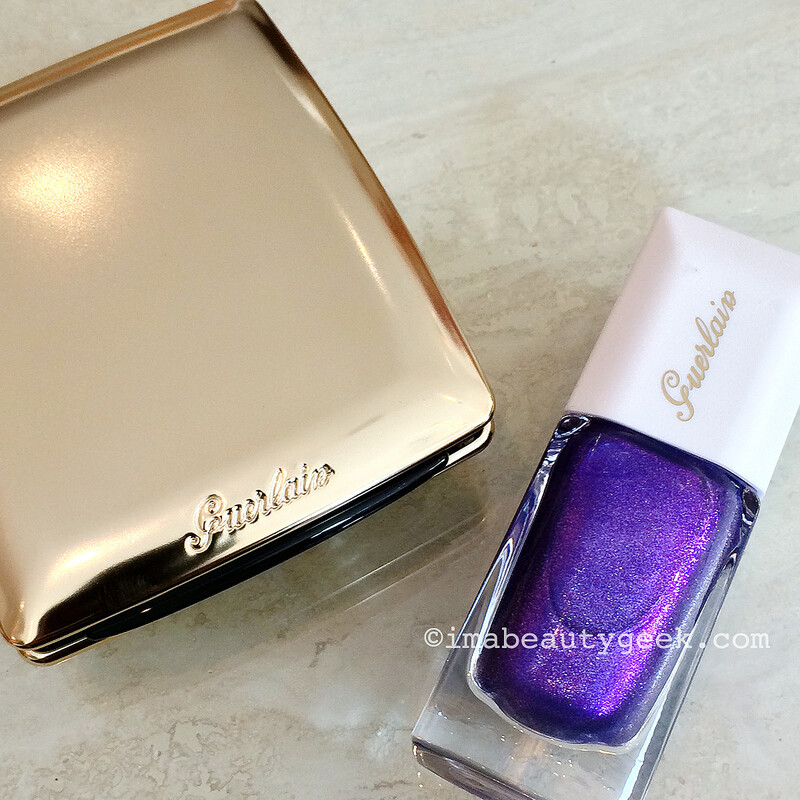 We see you too back there, Guerlain Meteorites Voyage Enchante Skin-Perfecting Illuminating Matte Powder ($214 at sephora.ca and $179 at sephora.com), resplendent in your weighty, shining silver re-fillable compact – hey, mind if we call you Enchanted Voyage Meteorites? You&apos;re part of a translucent matte white soft-focus pressed-powder movement, like the YSL Universal Radiance Matte & Blur we saw for this Fall. And oh my, you&apos;re just the prettiest, Rouge G Exceptional Complete Lip Colour Lipstick in 867 Merveilleux Rose ($56 at sephora.ca and $55 at sephora.com). Such a pretty pink – see it on model Anastassia, a couple of photos below. 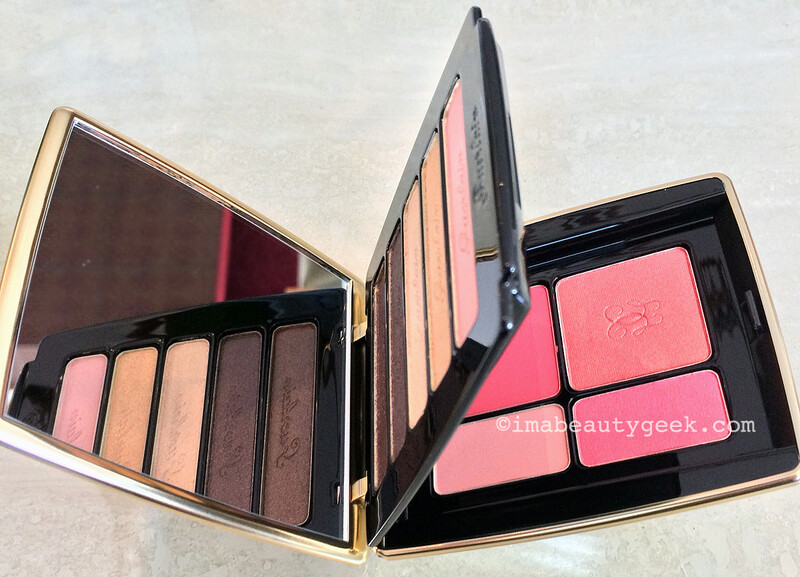 Oooh, look at those pretty blush shades tucked beneath the five shadows in the Guerlain Palette Ors et Merveilles Eyes and Blush Palette! Now what&apos;s this? 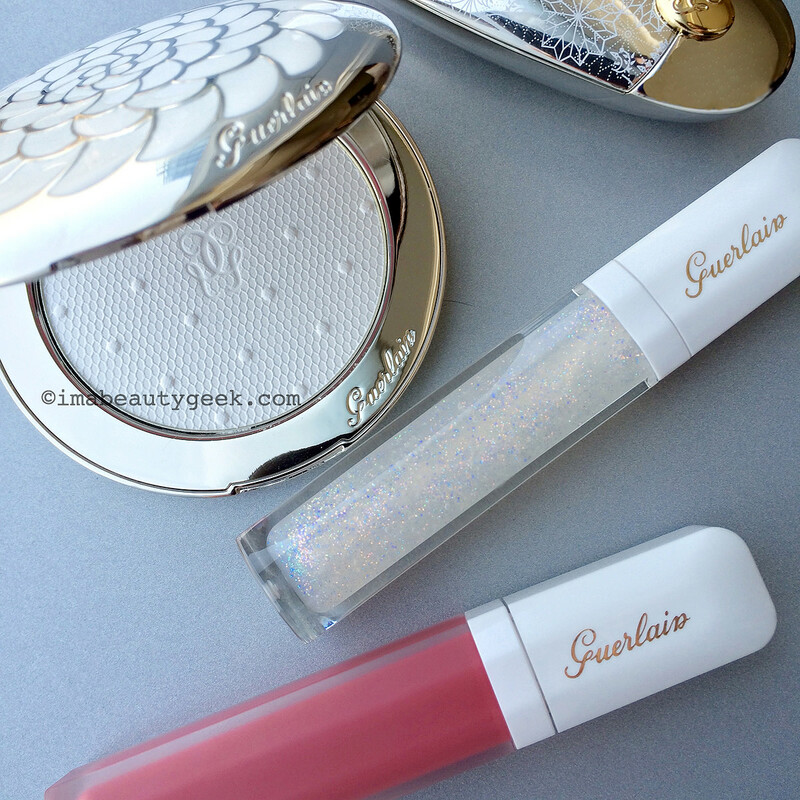 Sparkly sheer iridescent white Guerlain Gloss d&apos;Enfer ($34 CAN), you bring out my inner six-year-old. 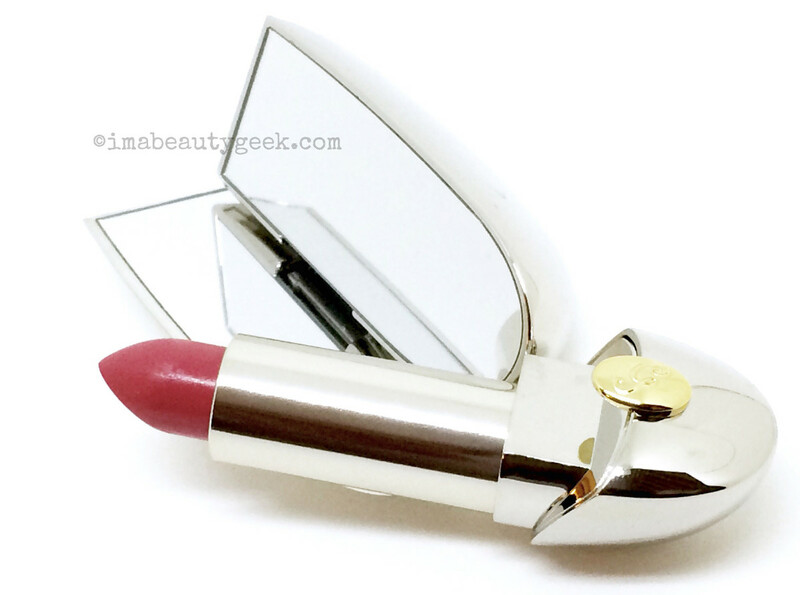 I have a grown-up lady crush on your friend there, though, that frosted-tube of Guerlain Maxi Velvet matte lip colour ($34 CAN) that I&apos;m told is similar to Rouge G L&apos;extrait M65 Paress. Can&apos;t wait to see you swatched (soon!). 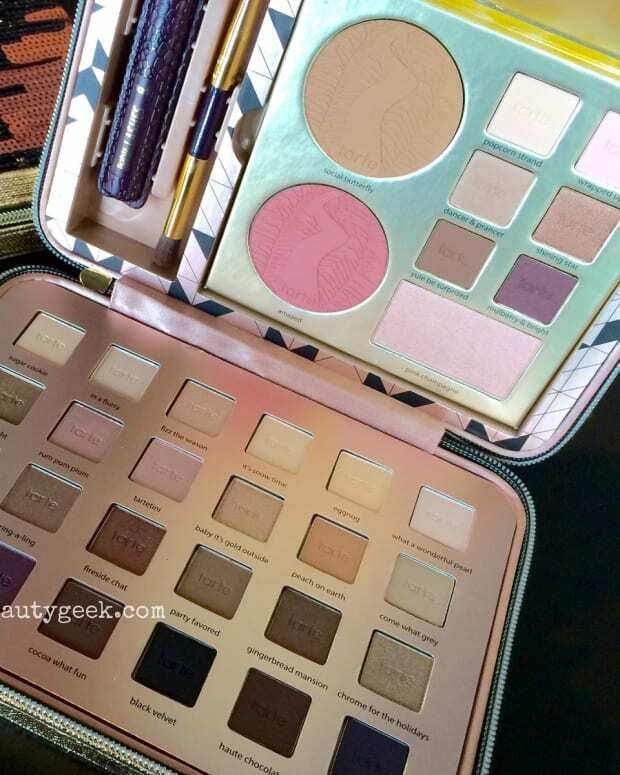 Guerlain holiday 2015: Terracotta Bronzing Powder 03 Brunettes and collectible sparkling white silicone sleeve – not the greatest shot, I&apos;m sorry, but you see the effect? Winter-wonderland white! So pleased to see you, Terracotta Bronzing Powder 03 Brunettes ($64 CAN) in one of those limited-edition sleeves that were so immensely popular this past summer. Your hint-of-iridescence glimmer is perfecto for this coming winter – like new snow sparkling in sunlight (or glowing under the street lamps at night, which is just as lovely). I know exactly what our ManiGeek will say when she sees you, La Laque Couleur 903 Nuit Merveilleuse ($29 CAN): "Give that to me." Truth. Guerlain holiday 2015 makeup collection; model Anastassia Aksjonova -- she&apos;s wearing the holiday Rouge G lipstick in 867 Merveilleux Rose. The Guerlain holiday 2015 Neiges et Merveilles collection launches officially on November 1st at Guerlain boutiques, department stores and Sephora. But some pieces, including the stunning Meteorites, will be available via sephora online at the beginning of October. 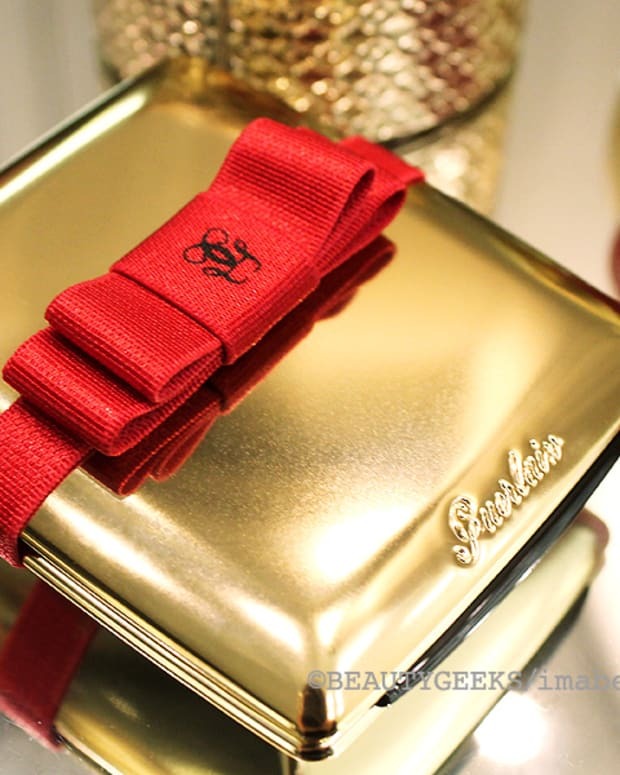 Here&apos;s a link if you want to compare against the Guerlain holiday 2014 A Night at the Opera collection. What do you think, lovelies? Can you handle snowflakes in hot, sunny September? 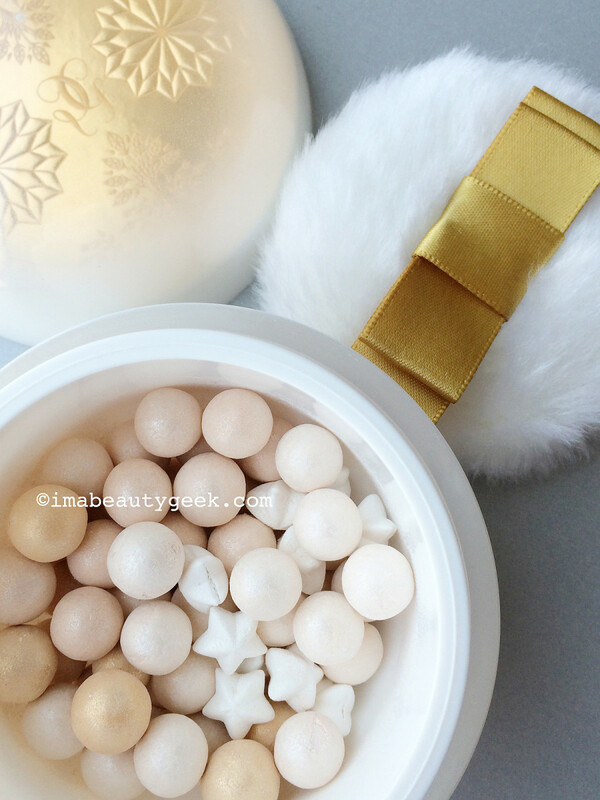 Well, snowflakes by Guerlain, anyway?